Interview with Janine Eisenhauer, head of jewellery design at ENERGETIX Bingen. Over the coming weeks, FROGBLOG will be uploading parts of the entire interview. So it’ll be worth coming back to take a look! ENERGETIX is treading new ground by launching its new range of bracelets made from silicone. J. E.: A very long period of development has now been brought to fruition. We set ourselves the goal of developing an entirely new ENERGETIX product with, of course, integrated magnets especially for people who like to do sports. It was a great challenge to incorporate the magnets in such a way that the bracelet remained waterproof and we experienced many setbacks. But it is what distinguishes the sportEX bracelets in the main from the normal collection and other conventional silicone bracelets used in the field of sports. 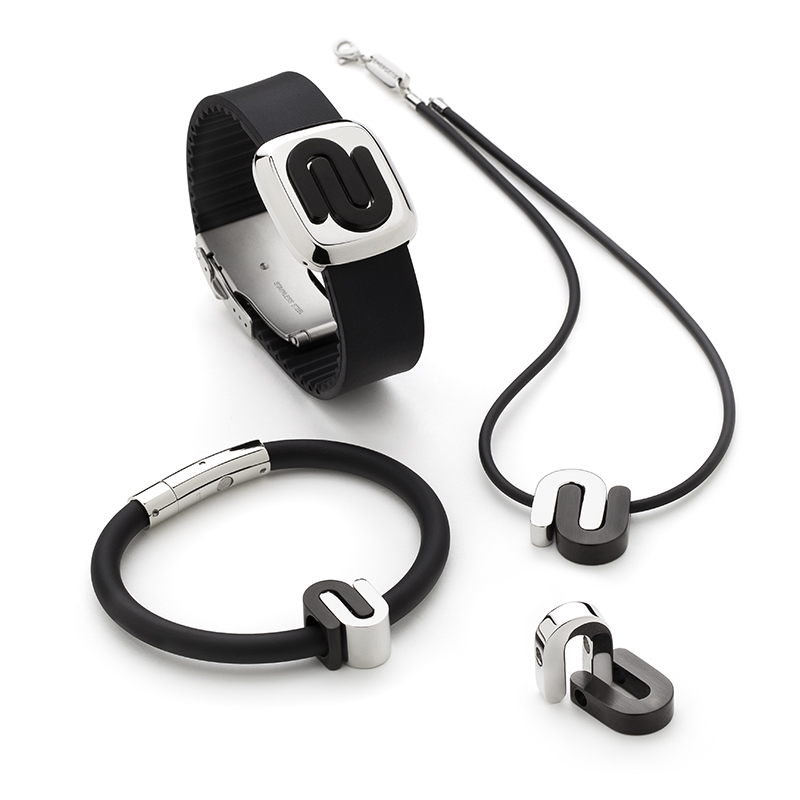 The sportEX bracelet contains three integrated magnets and is waterproof. We trod entirely new ground in the development of these bracelets and found a German partner who mainly creates silicone components for the automotive industry to cooperate with us in its development and production. We were able to win Franziska van Almsick, who is a wonderful model, for the sportEX campaign, which made me really happy. She combines many characteristics that are particularly ideal for our product. Working with her on the set was super professional but we also had lots of fun as the photos clearly show. The sportEX bracelets take up the topical trends in colours as well as in design and material. J. E.: Yes, we didn’t want to limit ourselves to just one colour and have come up with six: the currently fashionable colours of pink, green, blue and grey. In addition to the standard colours of black and white. We realized the design in conjunction with a team of product designers based in Berlin. The silicone material is very supple to the touch. It is coated with an antistatic protective film and all the ingredients used naturally comply with all the relevant EU directives. There are lots of many different facets to New York and it was the ideal choice for the location to shoot the photos for the Character collection. 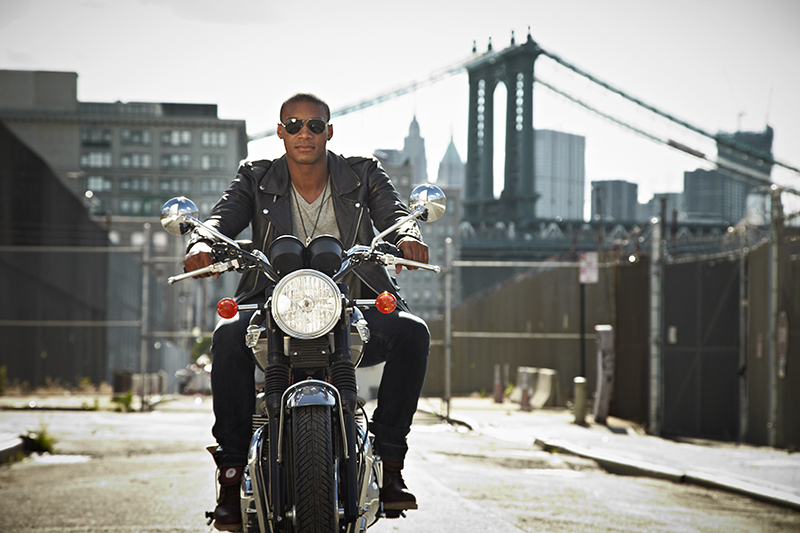 The team travelled to the DUMBO district to shoot the photos. ..
J. E.: DUMBO sounds strange at first. But it’s an acronym and stands for, “Down Under Manhattan Bridge Overpass”. Not really idyllic, was it? But the photos have turned out really great. You often go to unusual districts to capture their special atmosphere in the pictures. DUMBO is dirty and dusty and the noise is deafening when the subway rattles across Manhattan Bridge. We found the motifs between a transformer station and warehouses. And, as often happens in New York, the district is slowly becoming fashionable with real-estate prices increasing and modern architecture sprouting up between the somewhat run-down buildings. We encountered three other film and photo productions while we were there. And is there anything new in regard to Character, Janine? 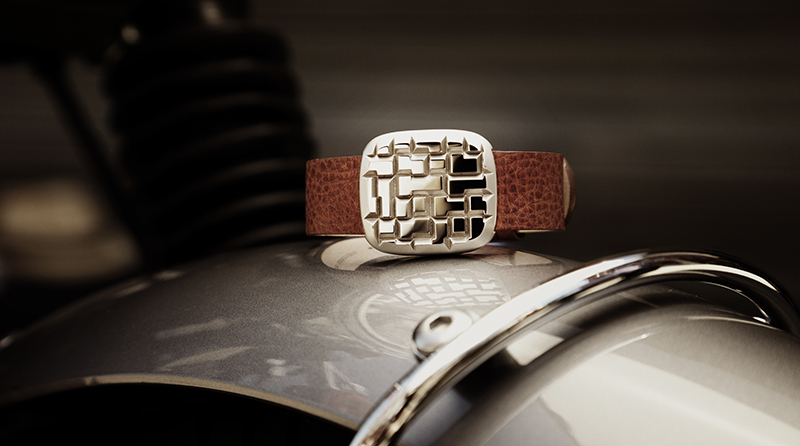 J. E.: Bracelet 2112 deserves a special mention here as it is actually quite evocative of cobblestones or brickwork structures. I think its rather striking and masculine. There’s naturally also a matching pendant. The items of jewellery on Page 99 of the catalogue put you in mind of the yin-yang symbol frequently encountered in Asia. Not a coincidence, or? J. E.: No, we were indeed inspired by the classical yin and yang for this series. It has been realized here with two pendant elements that are able to stand on their own but that may also be worn in combination. Two U-shapes that mesh with each other – almost like large horseshoe magnets. The series also includes beads that function just like the pendant as well as a central bracelet element with strong magnets where the two U-shape elements are encountered again. Thank you, Janine, speak to you in Part 5.